The Nintendo Switch had a lot of its big launch features announced today including an HD Rumble Pack, a new Mario game called Super Mario Odyssey, and full cow-milking capabilities. A lot of huge information was looked over tonight, so here’s the biggest bits of info people aren’t talking about right now. Buy any android charger and it will work with your android device and your switch. charge the device in a car without the need for a separate car charger which would only charge the console and nothing else. Charge the Switch with portable chargers. Have the Switch stream directly to monitors other than a traditional TV screen, for example laptops. 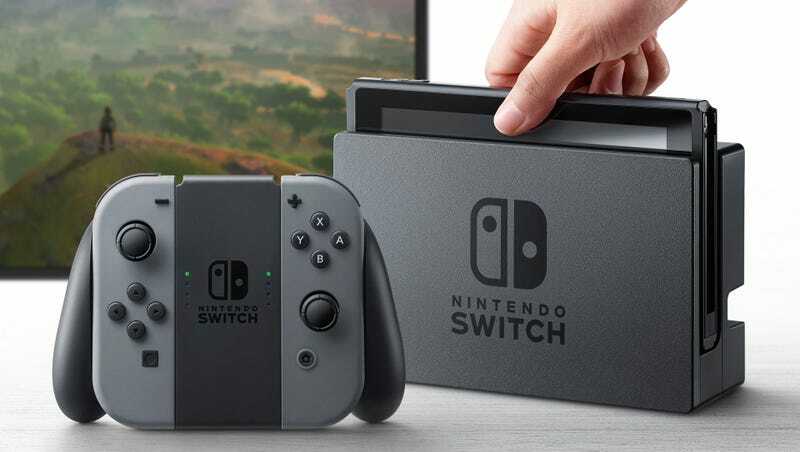 Connect the Switch via USB-C to computers which will improve the modability of the console and games as well as open up opportunities for online play, and open up opportunities for anyone hoping to capture video of the Switch without a dedicated capture device. Fifa On A Nintendo Console? Everyone was rolling their eyes at Fifa showing its face at another games press conference as if the 30 minute XBOX presentation at E3 2016 wasn’t enough, but this is a massive deal. Fifa is a popular party game among people who don’t play games and Nintendo is trying to appeal to people with strong social lives with the Switch so including mainstream titles like Fifa will start making jocks and everyone else who normally wouldn’t buy a Nintendo console... buy a Nintendo console. The more support mainstream titles like Fifa gets, the more reason for other mainstream titles to come to Nintendo consoles. The inclusion of games like Fifa could lead to the reintroduction of Nintendo as a main contender in the console wars. This is also a fantastic start to getting third party support for the Switch. Im not even a fan of sports games but Fifa is actually fairly fun at parties so even a nerd like myself would consider picking it up.